A railroad crossing accident that killed a 74-year-old woman in Edinburgh, Indiana is sparking new worries about crossing safety across the state. The woman, Sharon Gobin, was killed after her car was hit by a train that was rolling through downtown Edinburgh at 1 PM on November 20. The accident is still under investigation, but it has been confirmed that the crossing lights were flashing when the crash happened. However, the accident is renewing efforts by some residents to have better safety features at many crossings along the Louisville-Indiana Railroad. Recent upgrades to rail lines have allowed trains to up their speed from 25 MPH to 49 MPH. The 49 MPH speed limit applies to downtown Edinburgh. Over the last 24 months, community leaders and mayors have tried to get the US government to force the rail company to upgrade safety features at crossings south of Indianapolis. The mayor of Edinburgh and officials from other towns in the area were able to obtain $5.4 million in funding to pay for better warning signals and related safety features at 20 railroad crossings in Johnson County, Indiana. But that money is not going to be available until 2022. Trains have already up their speeds to 49 MPH, so there are serious concerns that more fatal crashes will happen. Town officials also noted that they are concerned about the higher speeds allowed at crossings, as well as the limited visibility at several crossings, including the one where Gobin died last month. There are nearly 300 people killed at railroad crossings in the United States every year. That is nearly one death per day. Our railroad accident personal injury attorneys in Virginia think that that number could be reduced substantially if there were better safety features at more railroad crossings across the country. Another major problem with many railroad crossings is poor visibility. It is very common for vegetation and trees to grow up around railroad crossings that make it difficult for drivers to see oncoming trains. It is the railroad’s responsibility to ensure that this vegetation has been cut back, but they do not always do so. One of the railroad crossing accidents our Virginia personal injury attorneys handled once involved a man who stated that he could not see the train until the last minute. In that case, we made a demand for settlement from the driver’s insurance company and also from Norfolk Southern. That case was settled for $50,000 and $29,000 against the insurance company, and $32,000 and $22,000 against Norfolk Southern. Reports from the Federal Railroad Administration (FRA) show that a Cleveland, Ohio train crossing is one of the most dangerous in the United States. The FRA report states that the crossing is at the 8200 block of Bessemer Avenue in Cleveland. The report indicates that the crossing is in the top 15 of railroad crossings in the US with 12 or more accidents in the last decade. According to nationally recognized railroad safety expert Bob Comer, FRA reports show that 34 accidents have occurred at the crossing since 1980. There was a collision between a car and Amtrak train in December 2015 that had several minor injuries. Comer noted that Norfolk Southern appears to be in compliance with federal safety standards, but there are still accidents at the crossing for several reasons. He stated that the crossing may need to be redesigned as there is a jog in the road, and there is also a rise in elevation at the crossing. Further there are industrial properties all around the crossing and high brush and trees that affect visibility. He also stated that there is not enough signage warning about poor visibility at the crossing. Comer suggested that adding a traffic light at the crossing would greatly improve safety. The light would correlate with trains approaching. According to the Cleveland councilman for that district, the intersection does need more safety measures. Our railroad accident personal injury attorneys in Virginia know that line of sight is critically important at railroad crossings. Drivers need to be able to see if a train is coming before they begin to go through a railroad crossing. If their ability to see down the railroad tracks is affected, it can be dangerous to make the crossing. Many railroad crossings have warning lights and bells to tell motorists that a train is coming. It is not clear if these are featured at the crossing in Cleveland, but clearly, there are line of sight issues and a lack of signs that warn of poor visibility. Foliage growing around railroad tracks is one of the most common line of sight issues. If brush and trees are not properly cut back, it can lead to serious accidents. Our Virginia railroad accident attorneys hope that improvements are made to this railroad crossing soon to prevent further accidents. Our railroad crossing accident attorneys have seen cases where poor visibility led to an accident at a railroad crossing. While a sizable settlement was reached, we would like to see fewer of these accidents in the future as localities do more to ensure full visibility at railroad crossings. A 59 year old man was killed on March 12 in Longmeadow, Massachusetts when his work truck was struck at a railroad crossing by an Amtrak plow train. The death of the man at the railroad crossing has brought up many worries and complaints from many in the community. Many feel that there should be additional safety features at that railroad crossing, which is in Longmeadow at the crossing on Bernie and Pondside Road. There is a stop sign at the railroad crossing and a railroad crossing sign. However, residents say the lack of traffic signals or gate arms are a serious danger at the crossing. Most of the other crossings in the area have those safety features. There have been other ftal crashes at this crossing, and now the Longmeadow town manager is talking about adding those safety measures at the crossing. He noted that the Department of Public Utilities in Massachusetts has the responsibility and authority to add safety features. Safety at railroad crossings has improved substantially over the years. Back in 1981, there were 728 deaths at US railroad crossings. That had fallen to 233 by 2015, despite the substantial growth in the US population. However, in 2016, the total number of deaths at US railroad crossings climbed to 265. Our railroad accident personal injury attorneys hope that this increase is temporary and is not a trend. Our railroad accident attorneys have seen in past railroad accident lawsuits that serious personal injuries and deaths can occur at railroad crossings. It is important to realize that while drivers and pedestrians have responsibility to stop at these crossings, there are many federal regulations in play at railroad crossings, and sometimes one of the stakeholders could be in violation of a law or rule that leads to an unsafe crossing. Federal regulations, for example, set rules for when a train must blast its horn when approaching a crossing. Federal rules further dictate how trees, shrubs and vegetaation must be cut at a railroad crossing to ensure visibility. The federal rules for railroad crossings are largely laid out in the Manual of Uniform Traffic Control Devices (MUTCD) and another set of standards is issued by the National Highway Traffic Safety Administration (NHSTA). If you or a loved one have been injured or killed at a rail road crossing, it is important to understand that railroad crossing accidents are very complex. In the case of personal injury or wrongful death at railroad crossings, we employ retired railroad workers as investigators to get to the bottom of the case. Many people who are seriously injured or killed at railroad crossings are entitled to substantial financial settlements due to negligence on the part of a stakeholder, such as the railroad or the local authority that maintains the crossing. A man in Oswasso, Oklahoma is blaming faulty railroad lights and gates for him slamming into a train on Feb. 1, causing himself minor injuries and serious damage to his car. Witnesses say that they were not surprised that the lights were allegedly not working and gates not functioning. Some say that it is a frequent occurence when trains roar through. A local business owner in Oswasso next to the train tracks stated that trains come through all the time; other witnesses said that when the police came after the railroad crossing crash, the lights were not functioning at the crossing. Several hours after the crash, railroad workers were working at the crossing. Sometimes the lights were on, but not apparently when they should have been. The railroad company stated that there was maintenance scheduled on the crossing soon, but it would not say if that was why the lights may have not been working. According to Operation Life Saver, a rail safety education website, 244 people died in railroad crossing wrecks in 2015, and 967 were injured. However, there has been progress: Railroad crossing deaths have declined by 38% in the period from 2004 to 2013. Still, railroad crossing accidents can be very severe because of the sheer size and weight of trains. 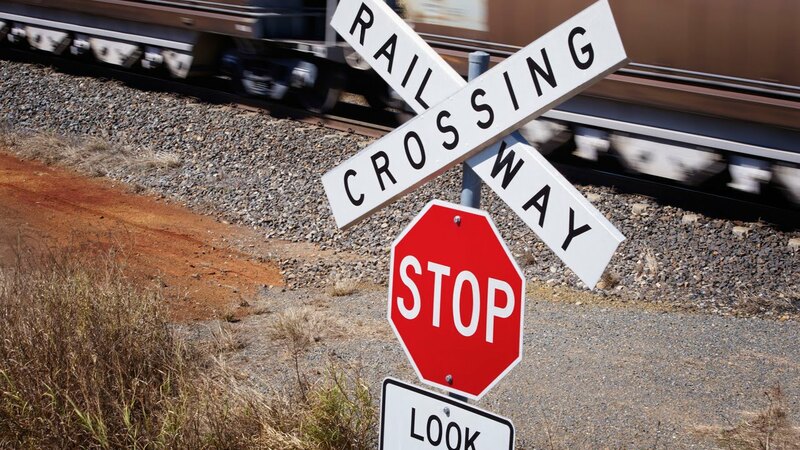 Our railroad crossing accident attorneys have worked on many railroad crossing cases in the last 10 years. We once represented a driver in Prince William County, Virginia who was hit by a Norfolk Southern train. He and his two children were fortunately not killed but were seriously injured. Our train accident law firm brought civil claims on behalf of the man and his two children. Our attorneys did a substantial investigation of the railroad crossing accident. We found that the train crew had not acted in an unlawful manner and we also looked closely at the vegetation around the railroad crossing. This was a concern because the man had stated that he did not see the train until seconds before impact. We examined the common laws of Virginia and we demanded a settlement from the insurance policy of the driver and also demanded settlement from Norfolk Southern. There was a satisfactory result for this train accident case that we handled. In the above case in Oklahoma, it should be investigated why there are reports that the crossing gates and lights were not functioning when the crash occurred. Also, the fact that the railroad company had scheduled maintenance at the crossing could be a critical factor. A 58 year old woman was seriously injured on Dec. 9 at 8 am when her Pontiac SUV was struck by a commuter train heading towards Boston, Massachusetts. The serious railroad crossing crash happened in Belmont, MA. The Massachusetts State Police stated that there were three children in the SUV as well. The six year old was still in the SUV when the train struck it. The woman driver was trying to get the child out when the train smashed into the SUV. She suffered serious head injuries and is in critical condition. Some witnesses thought that the woman’s vehicle may have gotten trapped between the crossing gates at the railroad crossing, but the police are still investigating. Railroad crossing accident happen often in America; there is a car/train accident every 12 minutes, according to the Federal Railroad Administration. Our railroad accident personal injury attorneys in Virginia also handle a good number of these accidents, and we agree that there are far too many of them. In many of these train/car collisions, the police may be quick to blame the car driver, but these accidents are complicated, and often the railroad and/or engineer is to blame. In our time working on railroad personal injury lawsuits, we have seen safety gates fail and train engineers either falling asleep or being distracted, leading to a serious train accident at a railroad crossing. Sometimes there is brush, weeds and trees that have grown up along the tracks and this obscures the driver’s vision. The family of the seriously injured woman should know that this railroad crossing accident should be looked at very closely by an experienced personal injury attorney. The goal is to determine if the engineer or railroad was at fault in the tragedy. Head injuries are extremely serious, and even if the woman driver recovers, she could need hundreds of thousands of dollars to cover medical expenses. A woman in Greenbrier, Tennessee was airlifted to a local hospital on November 2 when her car was hit by a train at a local railroad crossing. The accident happened at 5 am on November 2 in Greenbriar at the Wilson St. crossing. According to the local chief of police, the woman was in critical condition with serious railroad crossing accident injuries when she was taken to the hospital. Earlier in 2016, all of the railroad crossings in Greenbrier City were assinged a risk analysis score, and two of them were slated for improvements. It is not known if the Wilson St. crossing was scheduled for improvements. Railroad crossing accidents usually involve very serious injuries, and often death. Thousands of Americans die at railroad crossings annually across the country. In fact, the Federal Railroad Administration states that cars and trains collide every 12 minutes! As railroad crossing accident attorneys in Virginia and North Carolina, we have seen railroad crossing accidents that happened for many reasons. In many cases, the local police department just take the word of the railroad and blame the car driver for any accident at a railroad crossing. However, there are some railroad accidents where the car driver was not at fault. Maintenanace problems: Sometimes a train can have defective brakes or a problem with the controls. Also, there can be vegetation that has grown up around the tracks and this prevents the car driver from seeing the oncoming train. Sleepy train engineer: Human factors, including drowsy engineers, cause 35% of car train accidents. Some engineers are overworked and they fall asleep on the job. Train engineer is distracted: Some train operators are busy talking or texting on a cell phone, and they are not watching the tracks while the train is in motion. Safety gate problems: Sometimes safety gates malfunction and stay up, even when the train is rolling through the crossing. If your car is hit by a train at a railroad crossing, never make the assumption that it was your fault. This is often not the case at all. We recently represented a driver whose car was hit by a train in Prince William County, Virginia, and we were able to settle the cases for approximately $130,000. This was significant, because his children were injured in the car-train accident and needed medical care to recover.